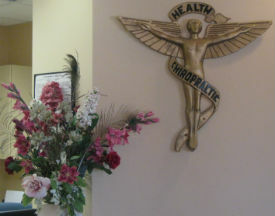 Dr. Carmen Clemenson has over 20 years of experience, including practicing in Iowa and Tennessee before opening Clemenson Chiropractic in 1997. With a hope to help the community one person at a time, our team is here to help you and your loved ones heal and live your best life. Our friendly team is dedicated to welcoming you, befriending you and supporting you as you achieve your health goals. Whether or not you’re in pain, chiropractic care helps your body function as it should. With any interference removed, you can heal naturally, from the inside out. From infants to seniors, athletes to those with bad posture, everyone is welcome to visit us to heal and stay well, longer! Using a gentle, low-force technique, Dr. Clemenson is thankful that so many in the community trust her enough to refer their loved ones. The Activator Methods® technique is not only light, but very precise and therefore very effective. The best part is that it’s great for all ages and patients love the ease of Activator Methods® adjustments.